Heves is situated in a completely flat area east of the river Tarna, in the north of the Great Hungarian plain, near the lower part of the Mátra hills. It is an ancient settlement, the seat of the former royal castle property, which the county was named after. The people have been making their living here from the fertile land with favourable soil properties for centuries. The people of Heves have always worked hard to cultivate the good soil and as a result agriculture and horticulture still play a dominant role in the economy. The mushrooms, grapes and melons grown here are deservedly famous. The settlement has been an important religious centre since the early Middle ages. It is reflected in the beautiful Roman Catholic church from the 14th century. Its greatest ornament is the white marble baptismal font, the work of an unknown Italian master. In the church interior the most beautiful piece of furnishing is the rococo pulpit. The mediaeval Gothic bronze bell of the church had been hidden in the ground for a long time and it was not until 1990 that it was taken to its present place after restoration. The nice manor-houses and mansions from the 19th century evoke the golden days of the bygone past. In the place of the former nunnery of the Order of St. Ursula you can find the newest and largest primary school of the town. In the hall of the Community Centre, which can seat 500 persons, theatre performances, concerts and other programmes are held for the locals. The thermal bath of the town has been popular for a long time not only with the locals but also with Hungarian and foreign visitors. The 47 °C medicinal water is rich in mineral salts and it is recommended for both bathers as well as visitors who wish to recover from illnesses. The bath is almost built together with the pleasant, comfortable camping site under the shady trees. Several exhibitions are held in the Museum of Heves and in the Chess Museum. The woven textiles, some of which are still handwoven at the cooperative of Heves, preserve beautiful folk art traditions. 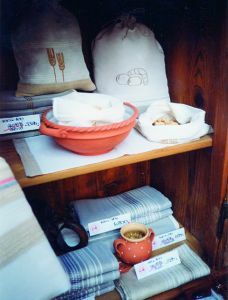 Apart from the handwoven textiles, the embroidered textiles are also famous. The town preserves the traditions by organizing programmes, too. The feast of Heves is still an important event in the town.